The Early Years’ Service provides families support and empowers parents/carers to be more confident in their own and their child’s ability. It is for children aged 15 months up to 5 years. There is a wealth of research showing that a child’s development is most rapid during their pre-school years. It is suggested that early intervention, while offering immediate benefits to the wellbeing of the whole family, also goes hand-in-hand with a decreased dependence on social institutions later in life, along with increased potential for future employment opportunities. The service is for any parent, carer or other family member to attend with their child, to enhance their knowledge and skillset around engagement and communication. We welcome any child aged 15 months–5 years, with autism, or a related communication difficulty – a complete formal diagnosis is not required. The service runs Tuesday to Thursday during term times; mornings (9.30am-12.00pm) and afternoons (1.00pm-3.30pm). We offer a flexible approach, with attendance designed to fit around the timetable and goals of each family. Each family begins from their own starting point, rather than basing the programme on chronological age. We focus on creating positive outcomes in social, emotional, cognitive and speech development – all tailored to the needs of the individual child and family. 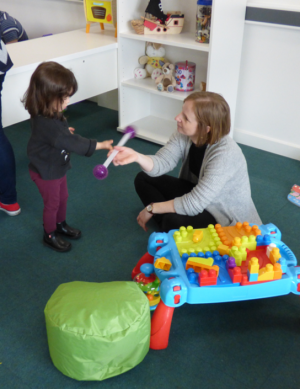 We work with the parents/carers to improve social response, engagement with play and overall communication. Our teaching is structured, with multiple learning opportunities embedded in play. Our methodology is underpinned by ABA, with elements of the Early Start Denver Model – evidence-based approaches that individualise teaching techniques around the needs and preferences of each child. Our dedicated, multidisciplinary team – comprising of a qualified Behaviour Analyst, Speech and Language Therapist and ABA Tutors – enables us to offer support in all areas of a child’s development and build a parents’ understanding and education. Parents/carers will learn valuable strategies that they can apply at home during routine activities that help them capture attention and promote communication with their child. 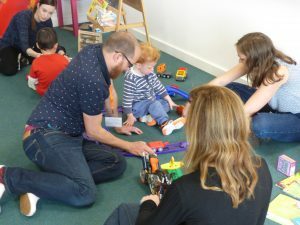 The group setting enables parents/carers to build support networks and friendships, with time given for discussion and sharing, reducing feelings of isolation. Since graduating as a Teacher of Health Sciences, Bernadett has been passionate about teaching children with special needs. She gained significant experience teaching in a wide range of educational settings, including mainstream primary and secondary schools, special schools and ASD units, becoming an outstanding teacher across all year groups. 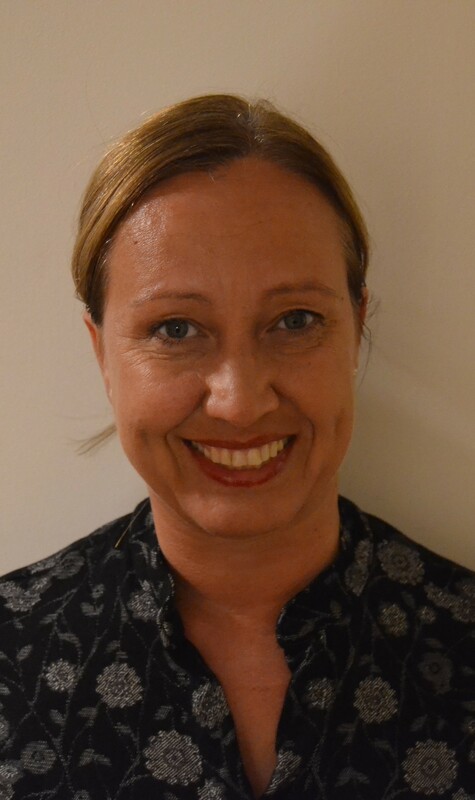 Most recently, she has been a Head of Primary Phase in a free special school for children with autism in south west London, moving a brand new school forward from the very first day. Bernadett firmly believes that every child holds an innate potential to rise above their circumstances and succeed beyond expectation in life with the presence of empathy, equal opportunity and a supportive and competent multidisciplinary team. As Head of Outreach, leading the Early Years’ team, Bernadett now feels privileged to have the opportunity to witness even more children and young people with autism pursue growth and happiness in their educational setting and throughout life. Sarah joined BeyondAutism in September 2011 having worked in various capacities with children with autism prior to this. She joined as a Trainee ABA Tutor and worked her way through being a Class Leader to an ABA Supervisor across both Park House and Tram House Schools. 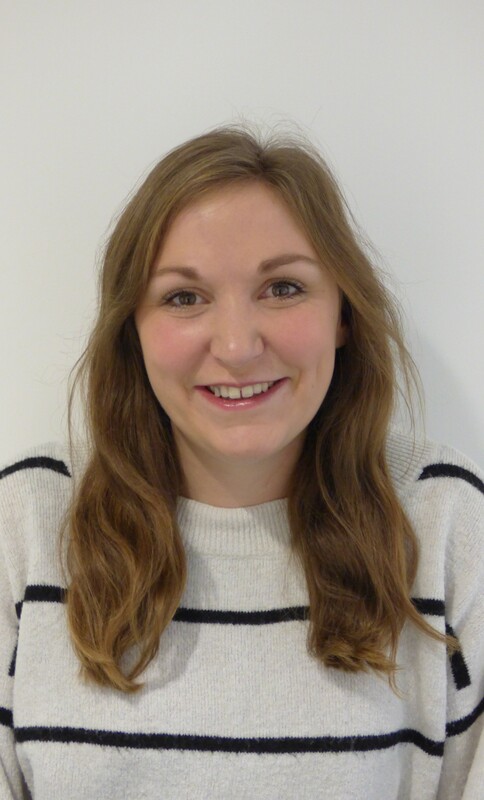 In September 2018 she joined the Early Years Team as the ABA Supervisor. Sarah completed a Masters in Applied Behaviour Analysis through Bangor University in September 2016 and became a BCBA in February 2018. She is passionate about helping children and young people with autism succeed and achieve their maximum potential through learning communication strategies and gaining access and understanding within their local communities. Sarah loves seeing the progress that the pupils can make and celebrating these successes with parents and Tutors. She is particularly motivated working with young children and their parents, focusing on early intervention and getting consistency across all settings from a young age to allow children to grow and succeed.